Artwork created by students in Watertown High School art classes are part of the display at the annual Watertown Public Schools K-12 Art Show. Colorful paintings of animals, detailed portraits sketched in pencil, and still lifes of fruits and vegetables greet visitors of the Watertown Mall these days. The artwork comes courtesy of Watertown Public Schools students from elementary school all the way to the high school. The annual Watertown Public Schools Art Show will be on display at the Watertown Mall through April 11. On April 1, a reception was held for the artist, their parents, teachers, and interested viewers. Minuteman High School has selected four outstanding students as Students of the Term for Term Two of the current school year. 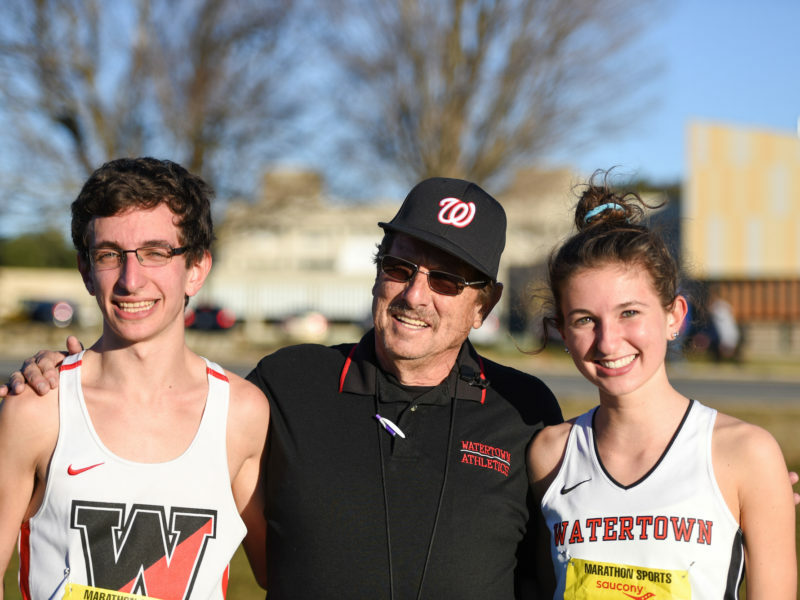 The honorees are freshman Marwa Alwaz of Watertown, sophomore Ellie Vail of Arlington, junior Evan Nardone of Wakefield and senior Jared Burke of Waltham. This honor is awarded every term to one student from each grade level based upon nominations from the staff. The criteria include character, attendance, improvement and academic success, according to Assistant Principal Brian Tildsley. Three of the Watertown Youth Peer Leaders act out a scene where the boy in the middle asks his friend for money so he can buy drugs from the student in front of him. The group spreads awareness of substance abuse and other issues facing teens. Showing that teens do care about more than video games and shopping, a group of Watertown High School students presented a Town Hall meeting about issues facing youth in Town: addiction, depression, racism, and sexual identity. The Watertown Youth Coalition’s Youth Peer Leaders helped organize the Well-Being of Watertown Youth Town Hall meeting, held at the Watertown Free Public Library on Wednesday. It was also sponsored by the Watertown Youth Coalition. Hosmer Elementary School in Watertown will have a second PreK class next year. Registration for kindergarten has been lower that expected, allowing School officials to use money on other things. Meanwhile, space is available to add another PreK class for Watertown students. Superintendent Dede Galdston told the School Committee about the changes to next year’s school budget made possible by the lower enrollment on Monday night. When the first Fiscal Year 2020 budget project was presented two weeks ago, four new teaching positions were included to accommodate enrollment growth at certain levels. The Watertown Mall is proud to once again play host to the Watertown Public Schools’ Annual Student Art Exhibit. This fantastic event will begin displaying art on Wednesday, March 27, 2019 and will be up until April 11, 2019. Hundreds of pieces of artwork will be on display from students in Kindergarten through 12th grade in the Watertown Public Schools and will inspire you with their talented work. There will be many mediums displayed here, which include but not limited to: watercolor, crayon, pencils, cray pas, computer art, and so much more. 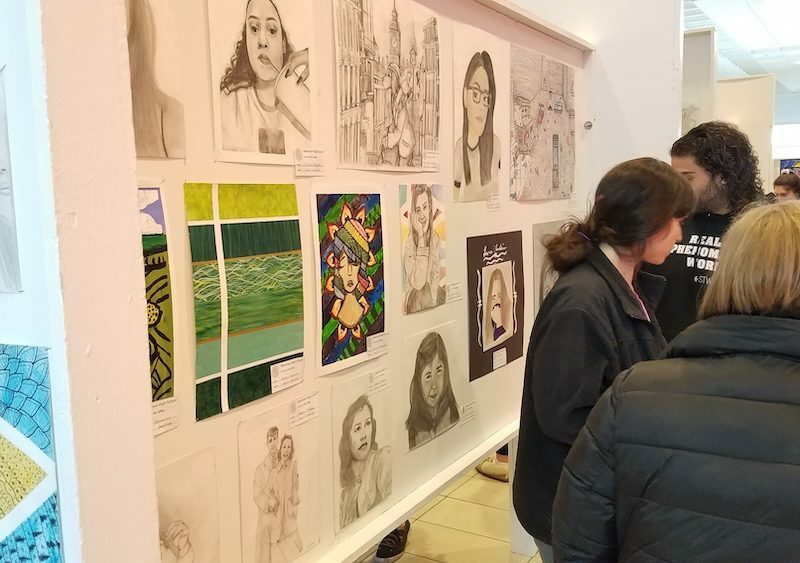 This is a free event to the general public, so come down and support young artists of Watertown Public Schools from Wednesday, March 27, 2019 to Thursday, April 11, 2019. The School Committee is examining its policy for charging groups to use school facilities, such as the gyms. Watertown youth sports groups oppose any fees, saying it could prevent some kids from participating in their programs. A proposal to charge town youth groups to use the gyms at the Watertown Public Schools has parents and youth sports groups concerned. The subject came up last year because School officials had heard that Watertown youth groups were getting squeezed out of the gyms by for-profit renters. A policy was created to create a priority list for users of the school facilities, and fees were examined and increased on for-profit users. At a joint meeting of the School Committee’s Budget & Finance and Buildings & Grounds subcommittees, School officials found that the fees had not always been charged. “As the fees were implemented, it became clear that past practice had not followed the past fee policy and there were significant inconsistencies regarding who was charged and at what level,” said School Committee Vice Chair Kendra Foley. Along with the presentation of the survey results of the Watertown Youth Coalition Peer Leaders will make their theatrical debut with the Improbable Players. The event will be on Wednesday, March 20, from 6-8:30 p.m. at the Watertown Free Public Library, 123 Main St., Watertown. To register go to http://bit.ly/wyctownhall. The Town Hall is sponsored by: Wayside Multi-Service Center, Watertown Public Schools, Watertown Police Department, Watertown Health Department, Donohue’s, Demos, Miller’s Ale House, Ixtapa Cantina, SAMHSA, and the MDPH Bureau of Substance Addiction Services. The 2016 Dancing with the Stars winner Georgia (Butler) Mulgrew, the Hosmer School guidance counselor holds the trophy. 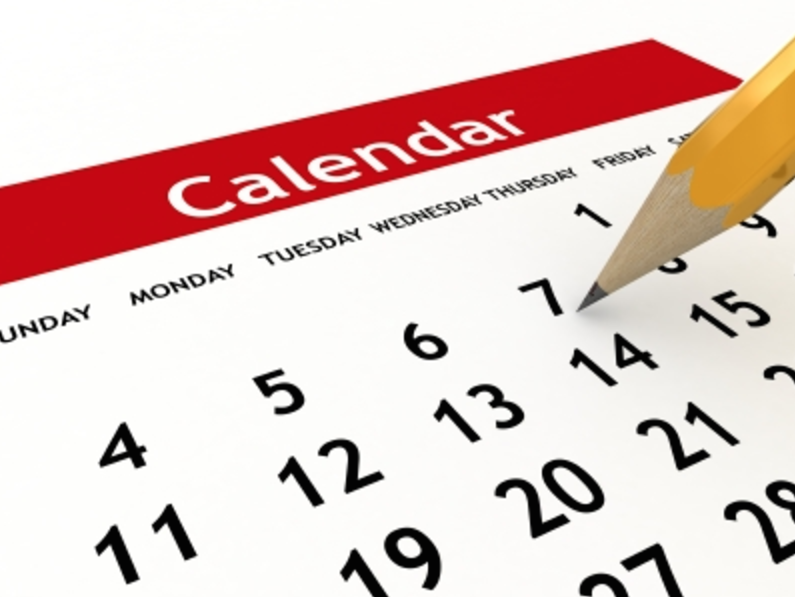 Tickets are now available for the 2019 event. The Watertown Rotary Club will host Dancing With the Stars charity event featuring local celebrities teaming with professional dancers on May 10, 2019. This year’s competitors are Town Councilor Lisa Feltner, Watertown Savings Bank’s Bill Burgess, Rhode Moise from the Watertown Boys & Girls Club, Watertown Firefighter Mary Piotrowski, Watertown Police Officer Kerilyn Amedio, Jae Smith from the Watertown Public Schools, Watertown Realtor Ari Koufos, Watertown Firefighter Andrew Vega, and Chad Foster from Watertown Middle School. The event will be emceed by Watertown Town Council President Mark Sideris. Among the additions in the Fiscal 2020 budget are two curriculum coaches at Watertown Middle School: one for literacy and the other for math. Similar positions have been successful in other schools, Galdston said.